Are you thinking of setting up your own business? Well then Congratulations! It truly is one of the most rewarding journeys you can begin. You’re doing something you love, whilst reaping the financial rewards and all whilst being your own boss. Before you even consider taking sales orders or opening your door to customers there are a number of things you must consider to ensure your business stays compliant with laws and regulations. Forward planning with also help ensure your business remains sustainable. Here at Atkinson Accounts, we are here to help. We have compiled a handy step by step guide to help you get started. What will we discuss? What type of business are you looking at setting up? The main types of businesses we will be looking at throughout this article are Sole Traders and Limited Companies. Where will you register the business? Have you considered your business plan? Have you considered your business’ forecast cash flow? When setting up your business you will need to ensure you are compliant with all regulations imposed by the relevant boards i.e. Companies House and HMRC. Who your business needs to register with is entirely dependant on the business type you choose. There are different registration procedures for Sole Traders compared to Limited Companies. Control – A sole trader has control over every aspect of the business and all profits (after tax) belong to the owner. What must I do as a sole trader? Legality – The government treats Limited Companies as a separate legal entity. This means that the businesses finances are separate from your personal. 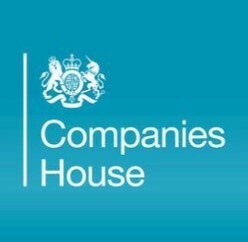 Taxes – At the company year end, you will have 9 months to submit annual accounts to Companies House. A corporation tax return will also be due to HMRC. Control – The company’s shareholders will divide the company’s control between them. What must I do as a Limited Company? If you fail to register on time you could face a penalty which is the last thing you need when launching your new business. To register with HMRC you will need your 10-digit Unique Taxpayer Reference. This is often referred to as a UTR and is posted to your address within a few days of you completing the registration. Did you know that after your company year end you have 12 months to submit your Corporation Tax, but only 9 months to pay the tax! customers VAT (depending on what you are selling). The VAT will need to be displayed separately on all invoices. There are sometimes benefits to registering for VAT even if your turnover does not hit the threshold. For a simple guide to VAT for your business please click here. Do you need to ask permission from your landlord or mortgage provider? Do you need to pay any business rates? The answer to this question will depend on the value of the building. Will you be offering your goods or services to the customer using a shop or office? If so you will need to ensure your premises are licenced for commercial use. Does your business industry require you take out any additional licences? i.e. alcohol licence in a pub or restaurant. We would always recommend all businesses take out business insurance. After all, it’s better to be safe than sorry! When setting up a business you are often reminded time and time again how important a business plan is. Here at Atkinson Accounts, we believe it’s not as important as some would have you believe. You should be focusing on the running of your business and what this will entail in the future. We do not see the benefit of time consuming over planning of events which are often not within our control. What the business will offer? How you will fund the business/repay any loans taken during the set up? Have a rough idea of your expected income and expenditure for the year. If you are planning to lend start-up funds externally a more concrete business plan may be required from lenders. The lender will usually detail what they need specifically before you present them your proposal. The key to keeping any business sustainable is to make money. This should be your primary concern for a lasting business. Start-ups can either come with astronomical price tags or have no costs at all – dependant on the business type. In either of these scenarios it is always better to overestimate costs. You should also consider costs you will need to pay consistently and factor these into cash flow plans. Cash flow is the number one reason for start-up businesses failing. For this reason, it is important you consider ways to maintain cash flow as early as possible. Corporation tax is calculated as 19% (since 6th April 2017) percent of company profits. It makes sense therefore, that we are claiming all possible expenses against the company profit. Please note that there are strict rules on what can be claimed, for a more in depth look at allowable expenses for your small business please click here. Mileage – If you have not kept a record of your mileage HMRC will accept a rough approximation. You are entitled to claim 45p per mile for the first 10,000 miles & 25p/mile thereafter. Prior purchases – If you had bought any materials or fixed assets (that are still in use) before the business started these can still be brought into the business – although this may be at a reduced rate. We would suggest you seriously consider hiring an accountant for this. They can ensure you are tax compliant, reducing the risk of unnecessary fines or penalties. An accountant will also ensure your business is operating in the most tax efficient way possible. Bookkeeping is simply the process of keeping a record of all transactions. This includes both monies paid into the business, and out. Bookkeeping is crucial to any business as a record of transactions is required to calculate the correct corporation tax due. If your business has a separate bank account which most of its transactions go through, then often we are able to view the bank statements as a bookkeeping record. Any menial cash receipts can be forwarded on separately. However, if you wish to have a separate record of your transactions we highly recommend the simple Excel option. This is a simple and easy navigable programme. We would not suggest using high cost, complicated software – although we are happy to work with this if this is the route your business chooses to take. Good luck from all of us at Atkinson Accounts! Finally, although it is important to be aware of the above, your main concern is running your small business – and enjoying it! That said we realise this can be a daunting time for any small business and you can sometimes feel overwhelmed by all there is to consider. This is why we have prepared the above short article to explain some of the basics.